We are BEYOND excited to announce the FIRST EVER, “Pride On The Plains: Pride Weekend”! 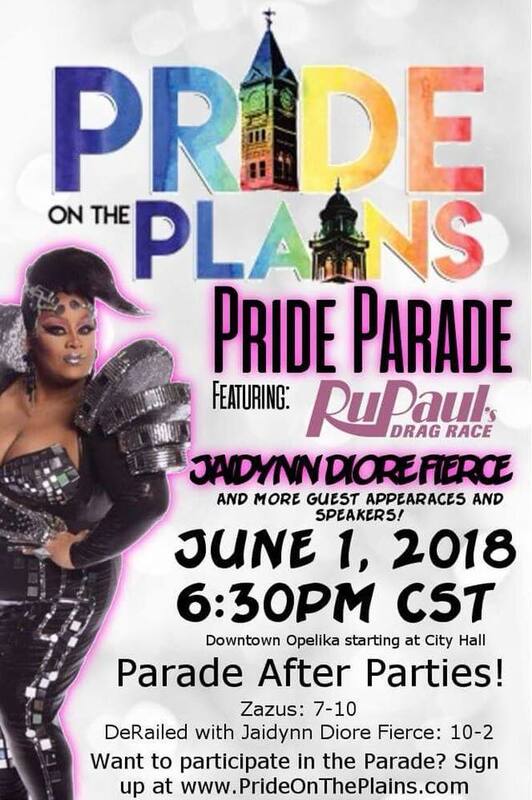 Join us Friday, June 1st, in downtown Opelika at 6:30pm for the Pride Parade with Jaidynn Diore Fierce! Downtown Opelika becomes the backdrop for a parade full of local businesses, LGBTQ Organizations and Allies and most importantly PRIDE! Then Saturday, June 2nd, from 12:00pm-6:00pm is the Pride Festival! Vendors from all over Lee County, Organizations from all over the state of Alabama and entertainers from all around the country come to Kiesel Park for a day full of food, games, activities, entertainment and family fun! 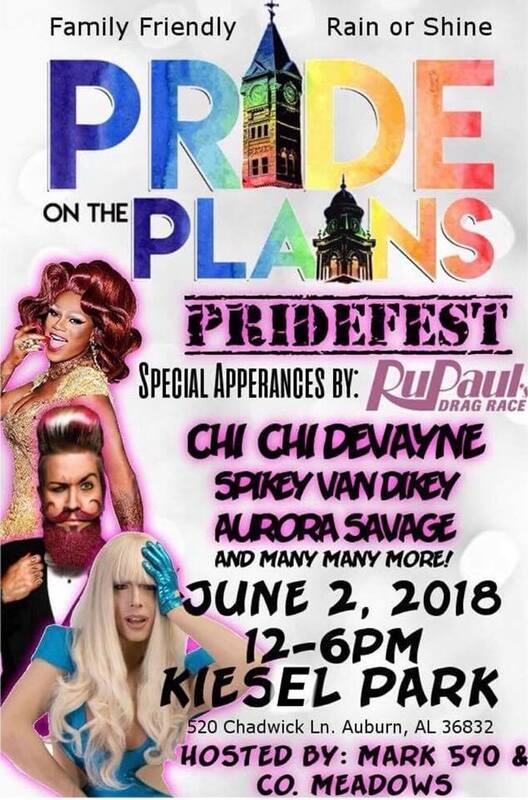 Headlining the Pride Entertainment is Chi Chi Devayne (RuPaul’s Drag-race Season 8 and All-Stars Season 3), Legendary Drag King, Spikey Van Dykey, and Alabama’s own GaGa, Aurora Savage! So join us for a weekend FULL of PRIDE!! !